Have you heard about Blundstone boots? It’s a brand which is famous for its boots quality, elegance, and styling. Well, you must be if you love to wear boots. One of the amazing boots brands, Blundstone is an iconic brand which offers the world’s amazing boots that perfectly complements your personality. This company provides a variety of products/models for all kind of foot sizes and make you their products compensate one’s boots desire. Well, you may think that the boots from Blundstone look very similar. Do you know the differences between Blundstone 500 and 550 boots? You may have been struggled on choosing the right one for yourself. In this article, we will explain the significant differences between the Blundstone 500 and Super 550 boots. This will help you to make your boot selection process simple, easy and quick. At the end of the day, when it comes to choosing a perfect pair of boots, the selection must be done on strong bases, it is always okay to take time to choose the perfect one. Well, if we talk about the background of Blundstone Boots, then the origin of them are in Tasmania. Tasmania is a famous place for boots. The boots that design in Tasmania are engineered to reduce all kind of fatigue and orthopaedic problems. 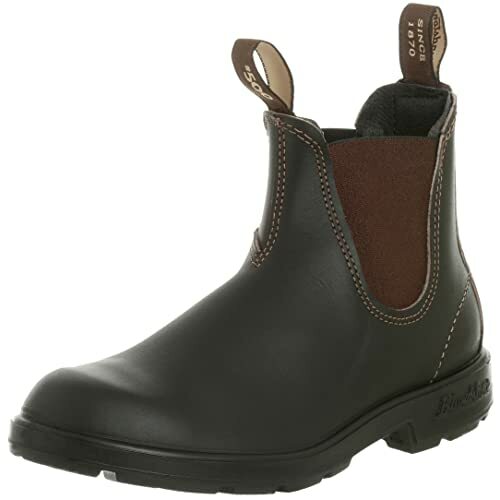 Blundstone Footwear is an Australian footwear manufacturer, based in Hobart, Tasmania. The company’s best-known product is its line of lace less, elastic-sided, ankle-length boots. The official name for this product line is “The Original”, although the boots are colloquially known as “Blunnies” in Australia. Today, we will show you the comparison of the major differences between the Original 500 and the Super 550. The Original 500 by Blundstone is one of the perfect products which truly provide the traditional comfort, durability and classic look. Simply sophisticated, unique, slim and clean finishing with extra high-quality strain resistant leather in the upper portion of boots makes them extra durable. Along with that, Shaped like the human foot for ultimate comfort from the very first step. How did Blundstone make them so light? Easy. They left off the bells and whistles. The best-selling boots are simplicity itself and go with everything – jeans, skirts, pants and shorts. We’ve seen a few attempts at knock-offs but nothing steps up like the Original. What makes the Blundstone Original 500 best choice? These boots provide top class stain resistant leather at an upper portion. This leather layer provides great durability. The coating of TPU (heat resistant) at outsole makes it a perfect pair of boots. The amazing ergonomic design makes them desirable boots for everyone. This is an evolution of a classic. After putting tons of miles on our Original 500s, we applied everything we learned in this series of boots. The result? A longer-wearing, leather lined, lightweight boot designed for ultra-comfort, come rain or shine. A perfect V-cut upper provides extraordinary comfort for the underfoot convenience. Moreover, the leather lining and awesome ergonomic design make the super 550 Blundstone a perfect choice to reduce the toe’s fatigue and pain. Are you looking for the most incredible boots? If yes, then Blundstone Unisex Original 500 series could be the right choice! These pair of boots perfectly rewards your styling desires, your durability demands, and protection. What can anyone expect more than comfort, great support and softening? Blundstone Unisex Original 500 Series is a classic style building boots that are ideal for formal and informal occasions. Anatomical design, removable Cambrelle comfort footbed wicks moisture away, SPS (Shock Prevention System) reduces shock by 33%, upper is seamlessly fused to PU outsole, dual density outsole for a softer walk. The Original Blundstone Boot has been improved over the years to include easy on and off pull-loops, patented SPS shock absorbing system, full length comfort footbed, and a molded, reinforced heel. The sole is made of very hard wearing but light weight oil and acid resistant TPU on the outside and polyurethane on the inside for toughness combined with comfort. The sole is bonded to the upper leather for structural strength and long life. So what you are waiting for? Just check out the Original Blundstone Boot and get the most affordable, high-quality boots at minimum prices. For more information about Blundstone Unisex Original 500 Series，please check out customer reviews on Amazon. An amazing product by Blundstone that offers elegance like nowhere else. A perfect pair of boots to go miles and can play by wearing them easily. This model is the same as the Original 500 series except the color is Black. All you need is to visit the Amazon link and get the full description of the product for a better idea. Here is the table of model and colour comparison chart which have the same features as Original 500 Series. For more information about Blundstone 510 Unisex Slip-On Boot，please check out customer reviews on Amazon. The soles, toes and patented shock absorbing heels have been engineered by Blundstone to give truly amazing grip, stability, comfort and traction on all kinds of surfaces. The Super Blundstone 550 boots are lightweight, durable boots feature 2.5mm thick WeatherSealed leather uppers that shed water (please note, this boot is not fully water resistant, for water resistant boots, I would suggest to checkout the Blundstone Work Series 140.) while maintaining a high degree of breathability. Looking for the most affordable Blundstone Super 550 Series Boot, then you need to visit the link above for more information. For more information about Blundstone Super 550 Series Boot，please check out customer reviews on Amazon. The 585 model is the same as the Super 550 Series except the color is Rustic Brown. There are many models in this series, often confused people, here is the table of model and color comparison chart which have the same features as Super 550 Series. For more information about Blundstone Super 585 Series Boot，please check out customer reviews on Amazon. The differences between the Original 500 and the Super 550 are almost unnoticible. Blundstone boots and shoes are marked with Australian sizing. 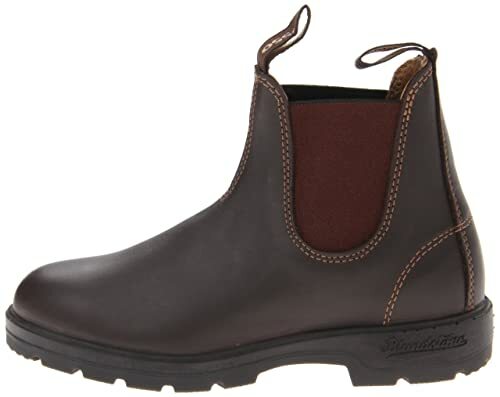 Blundstone 1/2 sizes refer to a width only, not the length. Many customers returned their boots due to the size issues, please check the size guide carefully before your purchase. Please also keep in mind that all leather boots need some time to break in. It maybe a little uncomfortable in the beginning, after a few days of continuous wear, it should begin to mold to your feet. What should I treat my Blundstones with? Blundstone boots are designed to last, it's vital that you care for them to help prolong their life and lustre. For keeping your blundstone shinny, I would recommend Otter Wax. 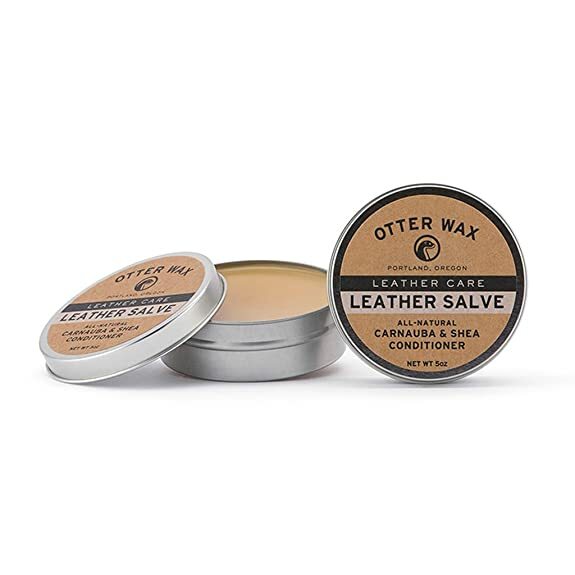 Otter Wax is an American-Based company that uses the highest quality natural ingredients in their products. Additionally, these products work really well with leather. Great for use on Leather Shoes, Hats, Bags, Furniture, Auto Interiors, & Much More! While Blunnies may be the more famous brand, the Redback Men's Bobcat Boot is the most famous competition around here. Redback is the choice of the locals, especially for a work boot. They’re made out of 3 pieces of leather instead of Blundstone’s one, which means they fit great from the first wear. Blundstones can be a little snug at first while the leather moulds to your foot, Redbacks hug your feet like a lover from the first go. They also have an air-cushioned sole which gives you that bouncy, lighter-than-air feel underfoot. Great for when you’re on your feet all day. They’re also very much the traditionalists down at Redback – they find the right formula and they stick with it. They are less fashion driven than the Blundstones, so you know if you loved your first pair of Redbacks, chances are your next pair will be instant love as well. Another big competitor of Blundstone is Red Wing, their boots are very elegant and classic. Please checkout our review about Best Vintage Boots for detail. Whether you choose the Original 500 or the Super 550, They both are good quality boots, you will not be disappointed by choosing either one. Personally, I would recommend the Super 550 models, they are stylish with all the elements of the Original Blundstone. The glove leather lining, polyurethane midsole, and a PORON® pad under the heel strike zone provide all-day comfort. If you decide to buy Blundstones boots, make sure to check our size guide. Some customers claimed that it takes some time to break in, it is a little uncomfortable at first. Please note that the Original 500 and the Super 550 do not use the fully water resistant leather. 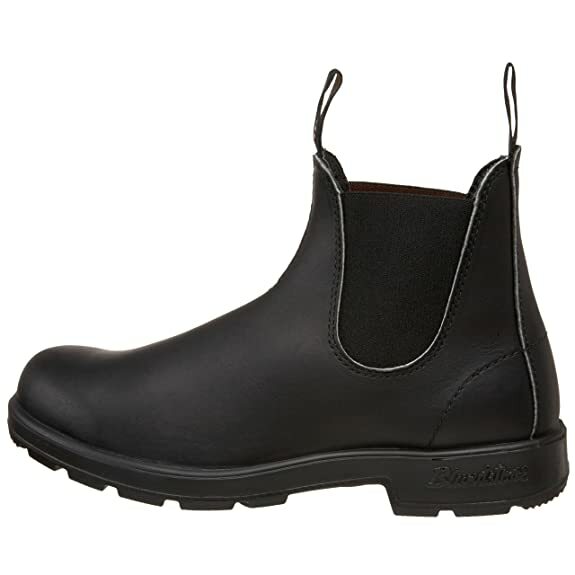 If you are looking for water resistant blundstone boots, I would suggest to check out the Blundstone Work Series 140.